Here's a fun one. This video will either make you hungry or dizzy. It was posted on You Tube earlier this year, just found it today. If we look far into the future we will see humans inventing new, creative and efficient ways to consume our daily nutrition. Progress has been made since the caveman days where we sat around a fire to cook with sharp sticks poking through slabs of meat from the recent hunt. Today the fire has been replaced by a microwave and table and we have refined our eating utensils to small metallic forks or knives. 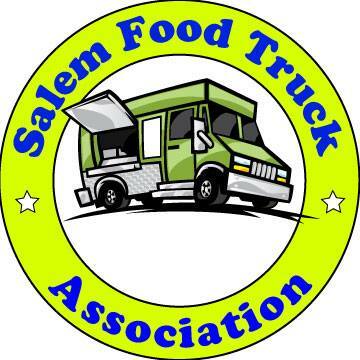 One Salem restaurant is taking an innovative step in food service, delivering food in a mechanical manner that is eye opening and fun. Sushi Kyo on Rickey Street near the ShopKo on Lancaster has employed a conveyor belt as a means to get their food to your mouth. A line of stools stand next to a silver serpentine stretching across the dining room of Sushi Kyo. On top, colorful dishes with sushi and rolls, glide past customers waiting for their next bite. The color of the dish represents the price of the item on top of it. At the end of your meal, the server adds up the stack of plates on your table to total your bill. I started with a cucumber salad. Being my first visit, I wanted to get the lay of the land before I started to take items off the conveyor belt. Sushi can be real expensive if you don't keep tabs on what you are eating. At Sushi Kyo though, all of the plates are between a buck fifty and two and a half bucks. It's probably the cheapest sushi in town. Somehow that conveyor belt helps them to keep the costs down and they can pass on the savings to the customer. Whatever the reason, the food keeps rolling by as chefs prepare it off to the side. It's hard to say exactly what I ate because the food isn't labeled but I think the item on the blue dish pictured here is Sweet Shrimp Roll. I also tried the Salmon, green dish, and the California Roll, yellow dish. The sushi wasn't that great. The rice patties and rolls fell apart as I picked them up and the fish wasn't top shelf quality. But what do you expect from something you paid $2.50 for and has been traveling around a restaurant on a conveyor belt. The restaurant was also eerily quiet. You could here the click of my camera echo off the walls as hungry customers fed their faces with fish. It was maybe the most awkward restaurant I have ever taken photos in. Some Japanese music, playing softly in the background would have been nice. Also I noticed a stack of open cardboard boxes piled up in the corner of the dining room in plain sight of customers. The place has a nice modern feel with pooled lighting, it's a shame that they would store these boxes in front of a window no less. Another thing that I wondered about later was, how do they know how long an item has been on that conveyor belt? How many trips around the restaurant before an item is no longer fresh? The upside of this place is that it's new(opened in February '07) and it's fun. I'd definitely suggest heading over there if you are bored with the usual Salem dining scene, which most of you are, I'm sure. So is Sushi Kyo the future of food or a passing fad destined to be a relic of our days on this big blue marble? Sushi Kyo is by far my favorite new restaurant. I think the sushi is the best in town (better than my old haunt, Momiji), the staff are awesome & friendly, and it's cheap and nutritious. Usually they have some sort of canned music playing. I love sitting across from the chefs- if you talk with them, you can get some really interesting custom food! The place often is busy on the weekends, so I hope the people of Salem value this gem & can keep it open! i love sushi kyo! it is the cheapest sushi in town -- anyway, the best you can get for the price. their food is always fresh and delicious and they can make anything to order and even serve hot dishes like teriyaki and tempura prawns & vegetables or miso soup that you can order from your server. my boyfriend and i can have beer and sushi until we're stuffed for under $30. love it. their signature salem roll is absolutely the BEST there is and their volcano roll is named for salem as well. i wonder what time of day you went in to eat as the music wasnt turned on, it was quiet and there were boxes still out. this has never been my experience there and i've eaten there probably aroun twenty times. the japanese music is slightly odd, but at least authentic! i hope you get to experience it sometime! if you can hit this restaurant at a more peak time, i.e. the dinner rush, you might feel better about the atmosphere and the freshness of the food... just a suggestion. a huge upside is going in when you're hungry and eating right away -- no waiting for the kitchen to make it and bring it out! plus watching the chefs slice octopus and make rolls is always interesting. No way (to the other commenters). I didn't really like this place. I mean, I agree that a sushi track is sort of fun, but who cares when the food is just okay. I like Momiji best around here. It isn't perfect, but I think it is far better than Kyo and somewhat better than Rice Time. Sushi kyo is fantastic. I am a poor college student and am quite frugel and the prices are affordable. After going there all other sushi tastes inferior. I guess I have never noticed the awkwardness...I always feel very comfortable. Not a fan of buffet style Sushi. Quality should always be of utmost importance when eating Sushi. I can't even get my girlfriend in the parking lot of this place. Your pictures say it all, cheap, cheap, cheap, and cheap quality sushi look at the white lines on the fish (bad quality). I would agree with Riggity, go to FUJI RICE TIME or MOMIJI. to my options, maybe they get the fishs from the same companies. but the way they prepared is not good. the fish from sushi kyo is not so fresh, the rice is cold and they keep reusing it.. i saw that happened couple times. Just went there last night, before seeing Iron Man...also very recommended addition to any evening! While I love Momiji's I definitely have to say Sushi Kyo is quite good. Servers were attentive in supplying me with my quart of green tea and my father with his Kirins'. Excellent variety of rolls, cucumber salad, Edamame, Nigiri sushi. Tasty and well put together, could have been a little fresher...but then they do go around on the veerrryy long conveyer. Plus if you have a favorite item just ask the friendly sushi chefs to put it together for you. I love Tobiko and squid...which tends to go round and round since people arent quite as adventurous most of the time. They are perfectly willing to make it to order for you. Altogether, excellent food, excellent price, excellent service. I'll stick to Momiji's for my absolute faves, but for a sit and hangout and be mesmerized by the passing items...Sushi Kyo is a good place to go. Yay for cheap sushi! As long as it doesn't make you sick... BTW, the idea of a conveyor belt for sushi came from Japan. I have read about quite a few places that serve sushi and side dishes this way. All I have to say is thank goodness the sushi doesn't come from a vending machine! Sounds like an interesting place, I'll have to try it. So what color plates are what price? I'm sort of trying to figure out what's what price from the photos and video. I am planning to visit Salem later on this month, so decided to check out the eateries ahead of time. It is interesting to read the comments regarding the conveyor belt being a novelty. I live in Vancouver, B.C., and several Japanese restaurants have used the conveyor belt concept for over 20 years! Nice! I tossed that video up on YouTube after a lunch meal there. I LOVE the Kyo. Rice Time is good and I like Momiji just fine, but I'm most drawn to the Kyo when I want Sushi, and drive from Keizer to the opposite end of town to get it. I love the belt at the Kyo, keeps the options open when you want to try new items or change your mind after a couple servings. I LOVE the Seared Salmon - there are two or three drops of different hot sauces on top of the salmon, and the fish, sauce and rice together are amazing here. I also love the Spicy Tuna, Tuna Rolls, California Rolls, and there's even a deep fried roll that really is good, but has cream cheese and is pretty rich, so only every so often. I do not like Kyo. The sushi is sub par. I love Fuji Ricetime, and Momiji can also be good. Although lately Momiji's has been failing to impress me. I have to say though, my favorite sushi in Salem comes from Roths on Vista and Commercial. Bruce, the sushi chef, is amazing! He will make any roll you ask for and they are so, so delicious. And as another plus, it is much cheaper than sushi elsewhere. I love Sushi Kyo. While I liked Momiji too, the last few times have been a little disappointing. Although their Miso soup is way better than Sushi Kyo. Overall I like Sushi Kyo better because of the variety and flexibility while the plates go by on the conveyor (as opposed to a set order in). What can I say... sometimes I have a hard time deciding. However, I have to admit that since the new location is open on South Commercial, I like this one a little better. Maybe it's the people running it or that it's relatively new. I have NEVER had a bad or cheap experience at Sushi Kyo. I have been at Rice Time twice and always had less than great experience. Maybe that's just my luck, but it is my experience.